Happy Thursday guys! 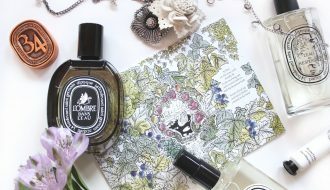 It’s almost the weekend but before you start making plans to unwind I have some exciting sample sale scoop to share with you all. This week my favorite jewelry designer, Eddie Borgo is having a sale inside his Lower East Side showroom. 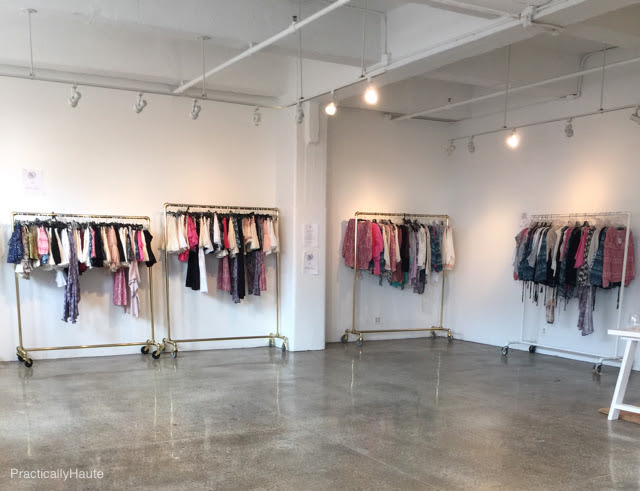 If you’re a regular blog reader here then you know that this event is one of the best sample sales in NYC and an absolute must for any bargainista. 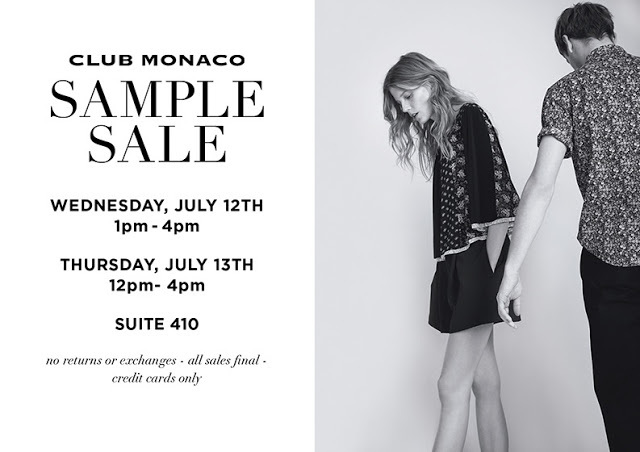 Ivy Kirzhner is hosting a pop-up sale inside her SoHo boutique, Club Monaco is having a rare sample sale inside their offices at Starrett-Lehigh Building, while 260 Sample Sale is holding clearance sales at all four of their locations. 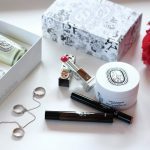 Plus there are even more sales so follow me after the break and let’s see where you need to shop first! 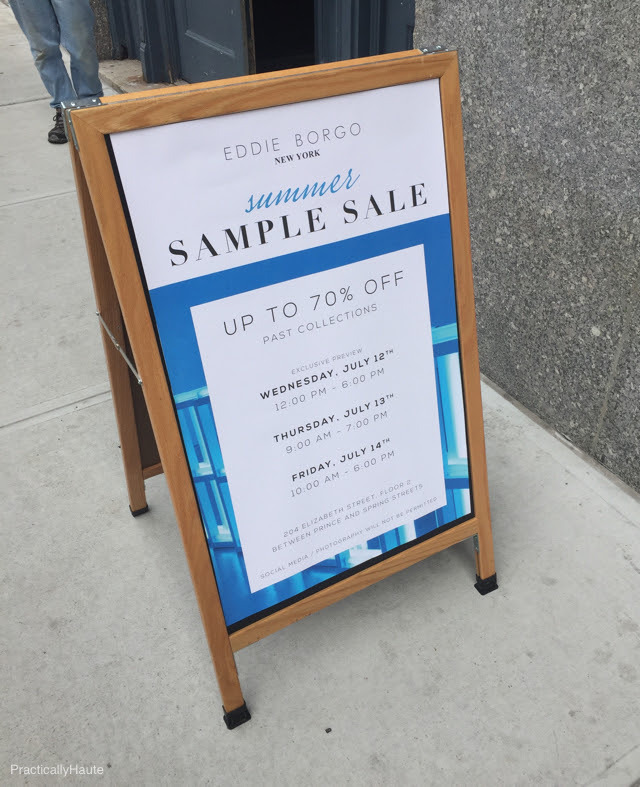 Yesterday afternoon saw the start of Eddie Borgo‘s July sample sale. 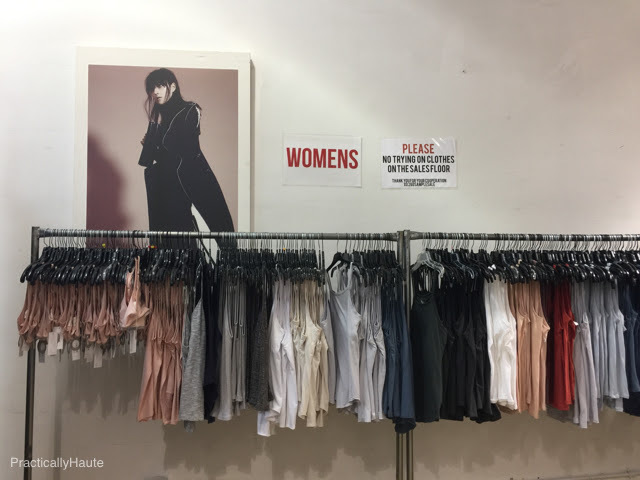 While advertised as a F&F day the sale was indeed open to everyone. I’m happy to inform you that prices remained unchanged and “damage” bins were plentiful. The sale does not allow photography or social media so I am linking the styles spotted on the tables. You can expect to find pieces from every year of the collection since the brand was first founded. 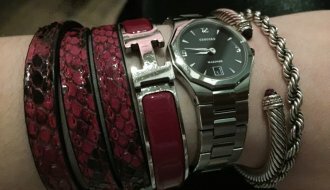 Items were neatly organized by color and style: gold, silver, rose gold, gun metal, etc. as you enter be sure to grab one of the wooden trays and start loading up! Nearly everything ends being well over 90% off retail and I’m not even counting the damages that can be found inside plastic bins along the wall near the registers. The bins also feature a lot of third party jewelry so if you want to find an actual Eddie piece be prepared to dig or stick to the overstock tables. 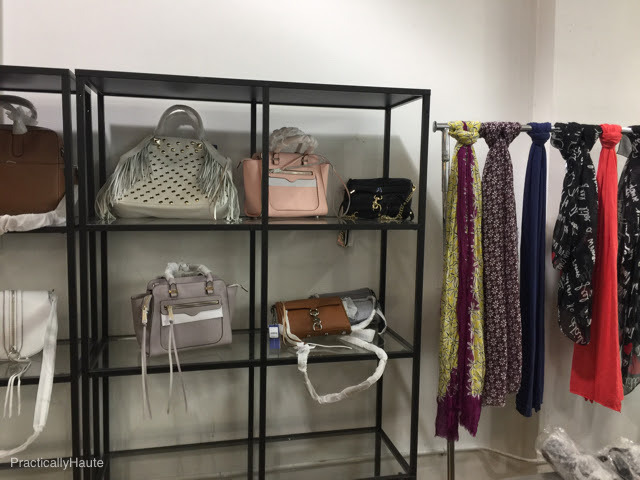 Further back you’ll also find handbags and clutches and prices have really come down since past sample sales. All large bags were just $350 while clutches and smaller bags were $250. Men’s jewelry was not available but the staff informed me that it will be put out Friday afternoon. The sale runs through Friday and I highly, highly recommend going. There’s no other event where you can find a so-called damaged piece that retails up to $1,000 for just $5! 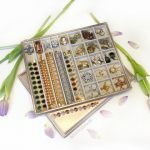 And the best part is that most pieces can be easily fixed by yourself or with minimal help from your local jeweler. 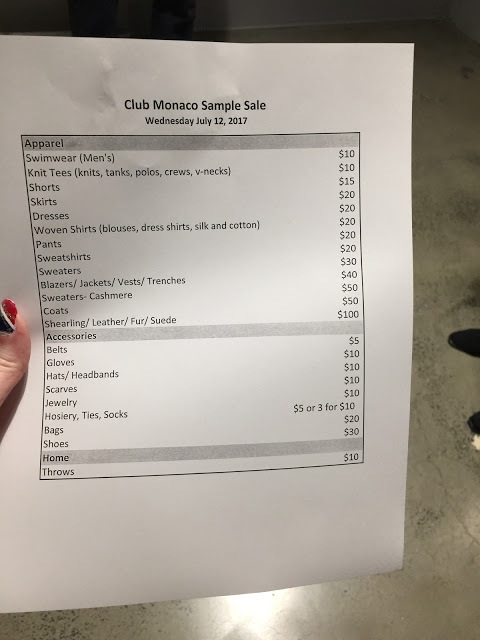 Next up we have the Club Monaco sample sale. 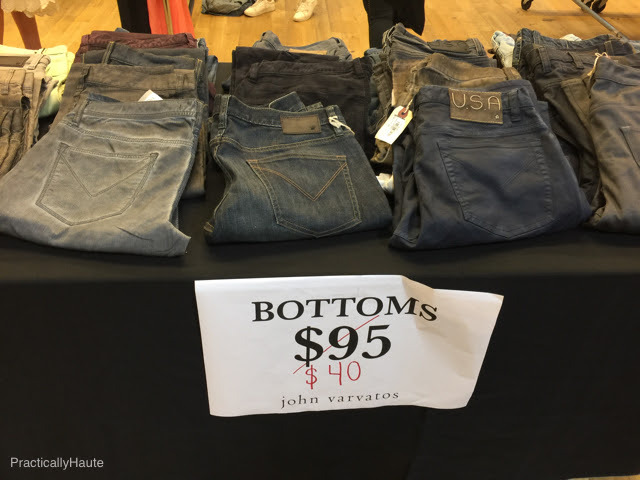 This sale is much different from the brand’s usual events as it takes place inside their corporate headquarters at Starrett-Lehigh Building. The only drawback is having to walk all the way to 12th Avenue in blistering heat but the price points are more than worth it: $10-$20 separates, $50 coats, and $100 fur, shearling, and leather. Unfortunately for me I arrived after 3pm yesterday and while the sale was scheduled to close at 4pm they would not let me in 🙁 Apparently there was a huge turnout and the lines to pay were over an hour long so they stopped letting people in early. The good news is that the sale opens at 10am today instead of noon but be sure to arrive well before 3pm as I anticipate a similar situation. There will also be markdowns and restocking. Please see the pricelist and a few linked items below. As they did not let me in I can’t comment on sizes nor selection except that there was a lot of clothes for women and men, including coats, leather, and even furs. The sale ends today at 4pm. 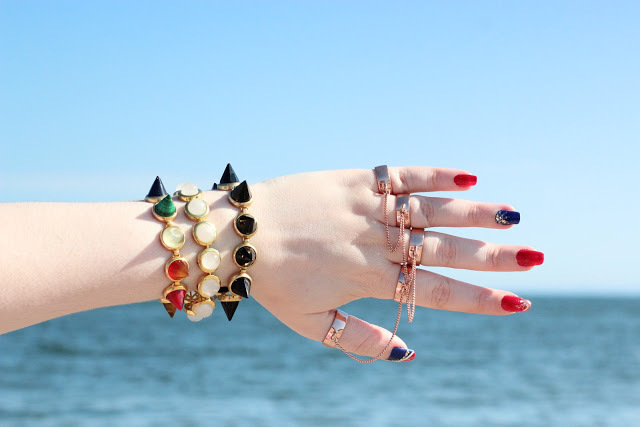 Another fun event for you to attend is Ivy Kirzhner‘s summer souk sale with Love Binetti. 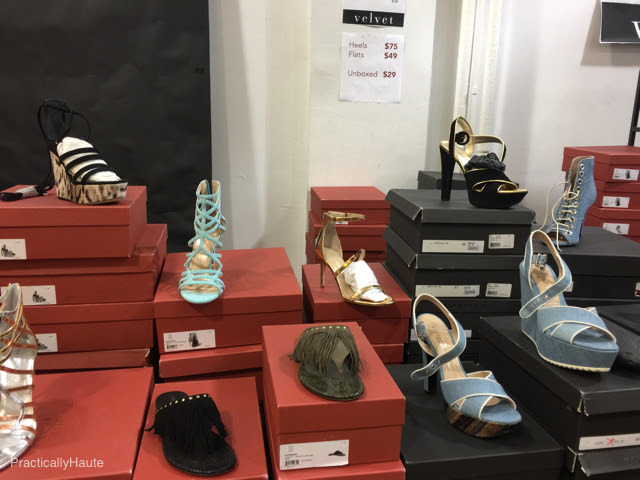 The sale is being held inside Ivy’s Greenwich Village boutique and promises savings of up to 80% off her signature footwear. 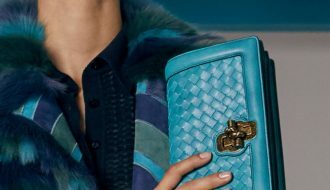 If it’s anything like the brand’s first-ever sale this past January then you might even find highly discounted samples. Thursday is VIP/Press but you are all invited! So come on by and stock up on some summer friendly sandals and shoes. 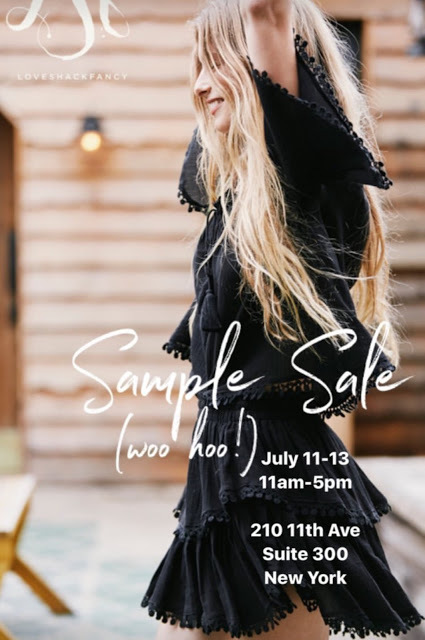 Just a block from Club Monaco on 11th Avenue, Love Shack Fancy is having their own showroom sale. 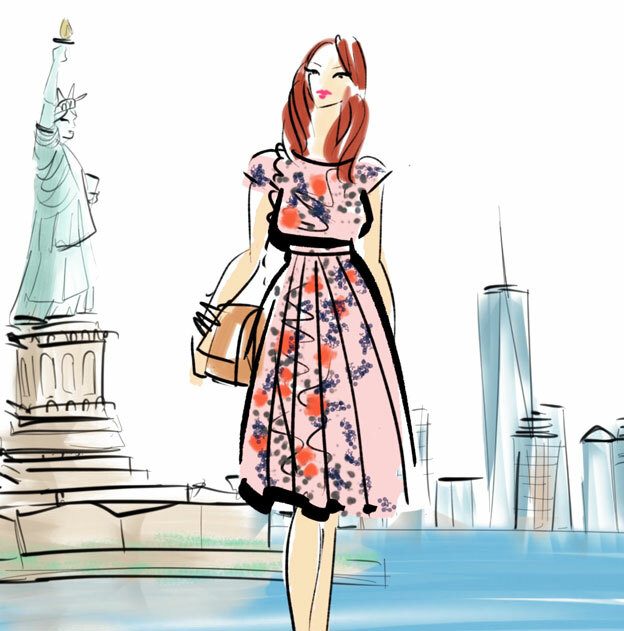 On offer are the brand’s summery, flirty dresses, rompers, skirts, and tops. Today is the last day and additional discounts of extra 25% off are expected. 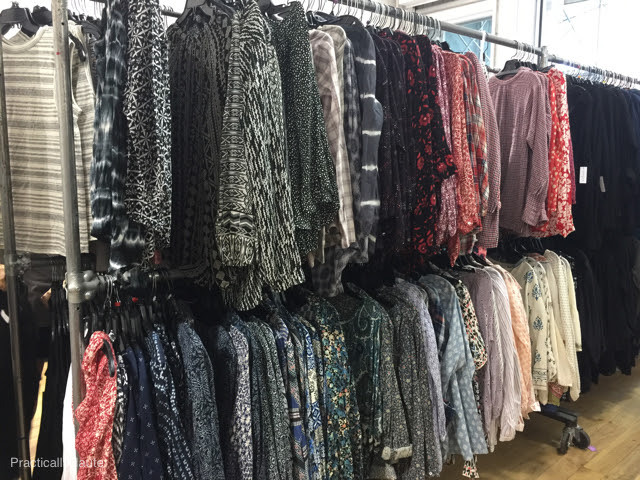 I stopped up yesterday afternoon to find a small selection of women’s apparel. To be honest I was rather disappointed by the prices since this is a showroom sale I expected better deals than $69 tops or $109 dresses. But if you are a die hard fan it might be worth a peek but personally I don’t think it’s worth the long trek to the West side. 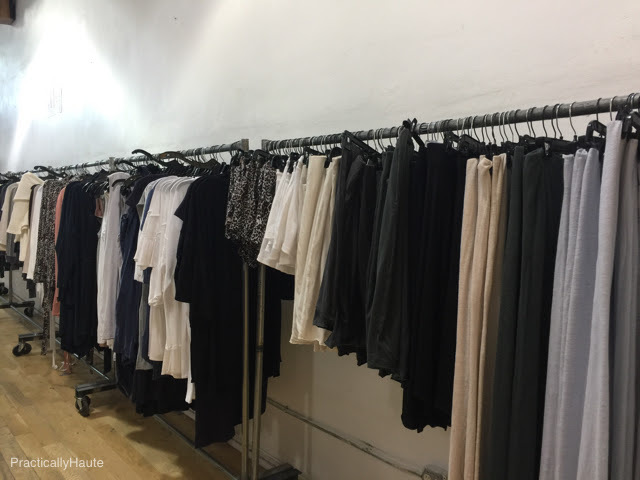 260 Sample sale is hosting special clearance sales at all four of their locations. 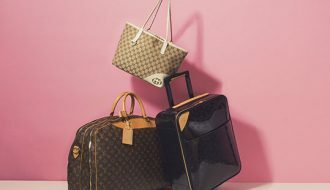 The Fifth Avenue flagship has women’s and men’s items from Velvet as well as women’s apparel from Skin, shoes from Tamara Mellon, as well as a few random brands. 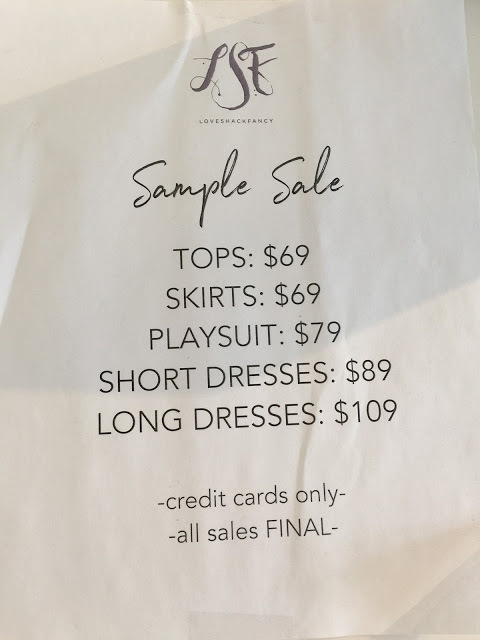 Prices are the same as the last day of each brand’s respective sample sale. You can view the price lists below for all the details. 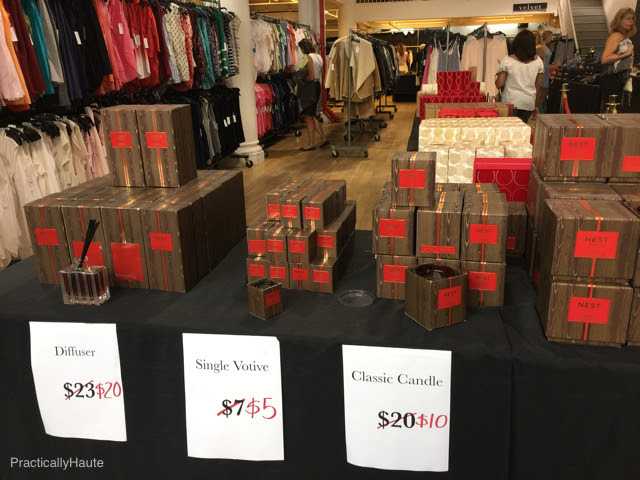 They also have leftover holiday candles and diffusers from Nest so if you missed out previously they’re a great bargain, especially the giant 4-wick candle that retails for $225 but here it’s $25. There were only a few though! Other candles are priced $5-$10 while diffusers are $20. There were also a few random Rebecca Minkoff and DVF bags but prices weren’t great ($100+). There is no dressing room but a mirror is located in the back. 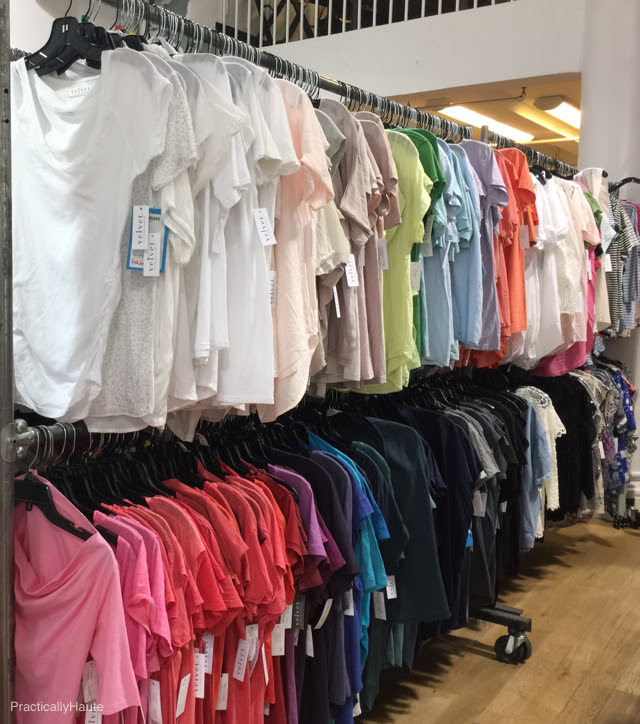 The Fifth Avenue sale will stay open through Sunday while the other three locations will be open through the end of the month as well as parts of August. 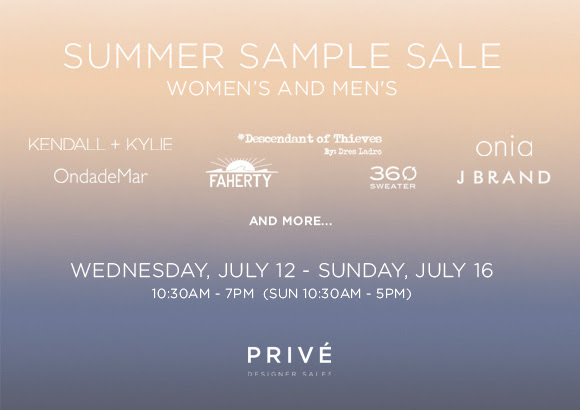 Prive sales are also having a summer event over at the Chelsea Market that might be worth a quick stop if you’re in the neighborhood. 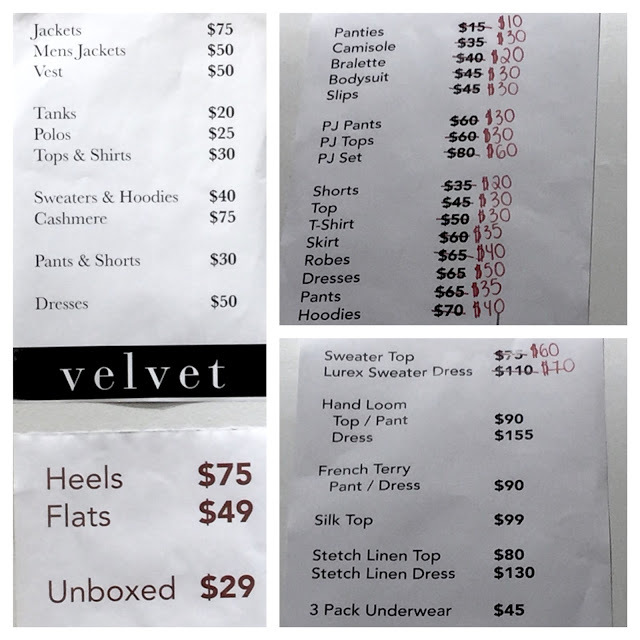 Velvet is now additional 20% off at 260 Sample Sale clearance. Also no sample shoes at Ivy Kirzhner. Hi, does Ivy Kirzhner have 80% off all their shoes? Do they have a lot of size 9? I'm wondering if it's worth it to trek down there. I wanted to order some of their sandals online, but if they're cheaper during their sample sale, I will go down to the store. The discounts are only up to 80% off depending on style. I haven't had a chance to go yet but several people have kindly shared the details. Prices started at $50 and went up to $150 for short starlight boots and $180 for tall. I was told that not all sizes were available but I don't know specifically about size 9, sorry. 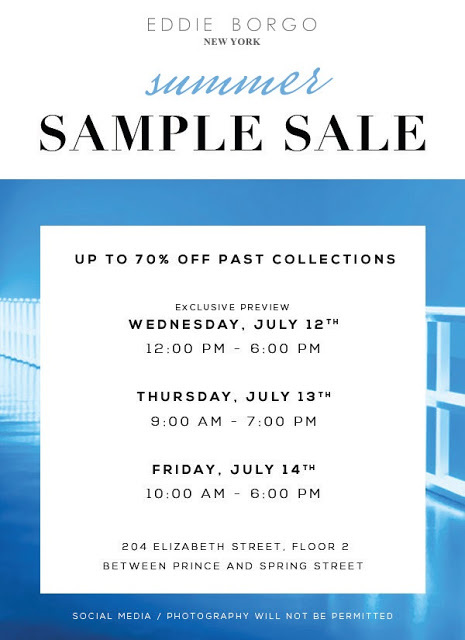 The sample sale prices are still better than online and you might want to give the store a call to see if they have the style you're looking for.